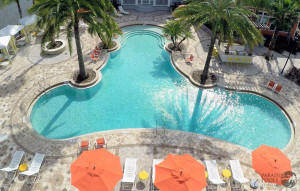 A pool is often the main focus point of many hotels and resorts. 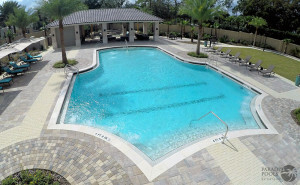 Apartment complexes advertise their pools as a way to attract new tenants and residents. At Paradise Pools we understand the needs of our commercial customers and can a design a commercial pool to accommodate any type of property. Already have a design? Send it over for a quick estimate. We build pools from other architect’s and engineer’s plans regularly and offer our expertise to make your pool safe and cost efficient as possible. Safety is a major factor when it comes to any type of commercial pool. We design and build to Florida commercial building codes to make sure your pool is safe and your property is covered. We strive on customer care, satisfaction and service. Once your commercial pool is complete we don’t stop there. We provide a one-on-one training session to show you how to use all of the options and features. Whether it’s to beautify an existing property, attract new residents, or to build a pool for a world class resort, Paradise Pools has the personnel and resources to get any commercial project done properly.